Our Primary Care Provider Team is Growing to Meet the Needs of Your Growing Family! Accepting NEW Patients Mid-Columbia Outpatient Clinics are Certified Patient-Centered Primary Care Homes. In a primary care home, your health care providers work as a team to better coordinate your care to help get you the services you need, when you need them. Extended clinic hours and access to specialty care are all a part of providing the highest quality of care to you and your family. o me s e w n a a e v a u h o y e p h o e w time at the c herry fe st! "Serving the Mid-Columbia for over 65 years"
Serving Breakfast, Lunch & Dinner Join us for live music Tuesday, Friday and Saturday nights. Happy Hour Monday -Thursday 4pm-7pm & Tuesday 4pm-9pm Minors welcome! Celebrate the 40th annual Cherry Festival with a Cherry Burst ice cream! Previous owner of 4 Câ&#x20AC;&#x2122;s Catering Carol Malcolm is now Cherry City Catering! Same great taste- different name! In our 50th year of serving customers! We have the LARGEST selection of ammunition in the Gorge! *APY = Annual Percentage Yield. Rates effective 2/8/2019 and are subject to change after account opening. Minimum opening deposit is $25.00. To earn the Free Checking Plus rate of 2.00% APY on balances up to and including $15,000, and 0.05% APY on balances over $15,000, you must meet the following monthly requirements: Twelve (12) debit card transactions; Log in to Online Banking; and receive E-Statements. In addition to earning the higher rate, you will receive automatic refunds on ATM fees, up to $12 maximum per month. If account requirements are not met, the rate will be 0.05% APY and ATM fees will not be refunded. Fees may reduce earnings. Since 1986, One Community Health has won the hearts of many people throughout the Gorge. Independent surveys show 96% of our patients refer us to friends and family. Patients thrive through an integrated approach to medical, dental and behavioral health. We serve Hood River, Wasco, Klickitat, Skamania and Sherman Counties with convenient locations in Hood River and The Dalles. Come experience affordable and compassionate care. is APPROVED. No further production will take place with your written consent. Please respond to this proof with your ap or changes required. Mark your calendar for the 2nd Annual Gorge Hops and Hogs Festival on June 15th, 2019. BBQ enthusiasts will fill Lewis & Clark Festival Park to enjoy the sights, sounds and tastes of summer. The family-friendly BBQ extravaganza will feature a BBQ competition, People's Choice BBQ tasting, regional Craft Beer and wine, beer yoga, live music, food trucks, sponsor exhibits, backyard games, a kids' zone and more! Registration is now open to compete in the upcoming festival. Everyone from pitmasters to backyard grillers are encouraged to join the fun! BBQ competition categories will include Beef Tri-Tip, Pork Ribs and Chicken. A panel of celebrity grillers will judge the competition and awards will be presented to the best of the best. Round your team up and register today at www.gorgehopsandhogs.com! 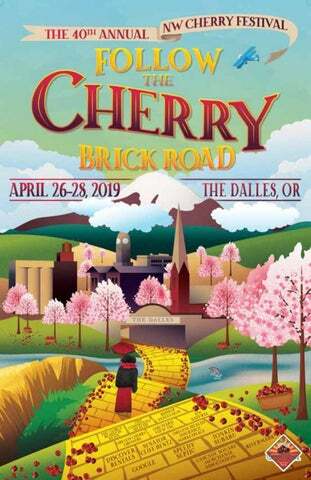 WHEN SAT 4/27 12pm - 6pm Sun 4/28 10am - 4pm WHERE Cherry Fest Grand Entrance Washington St & 2nd St Dalles' Second Agricultural Job The Fair is set for Saturday & Sunday, April 28 12PM - 6PM & 29 10AM - 4PM. All applicants and interested parties are welcome. This event is open to the public, giving attendees a chance to visit with local growers, producers and orchardists about job opportunities. Local high school and college students are also encouraged to come. Oregon Cherry Growers ,The Dalles Fruit Company LLC, Columbia Gorge Fruit Growers, Polehn Farms Inc., Orchard View Farms, and more will be in attendance to provide information and meet with prospective applicants. See the full line of new 2019 Subaru 2019 Ascent Model Code KCG Touring vehicles at our downtown display area following the parade! DINOPAY No Cards, No Cash, No Hassle. Combine all offers and save 35¢ per gallon! Everyone 21 and over welcome Huge selection of CBD and THC topicals, Tinctures, Flower, Vape pens, and Dabs! 405 E. Steuben/ SR 14 Bingen, WA â&#x20AC;˘ 509-493-0441 9am-9pm Daily â&#x20AC;˘ margiespot.com Disclaimer: Marijuana has intoxicating effects and may be habit-forming. Marijuana can impair concentration, coordination, and judgment. Do not operate a vehicle or machinery under the influence of this drug. There may be health risks associated with consumption of this product. For use by adults twenty-one or older. Keep out of the reach of children. Specializing in Auto Glass Repair and Replacement throughout The Gorge! Work in the wonderful world of cherries this summer! Work in the wonderful world of cherries this summer! Orchard View is now hiring for Cherry Harvest! Orchard View is now hiring for Cherry Harvest! Don’t miss out - Apply now! ¡Trabaja en el maravilloso mundo de las cerezas este verano! ¡Trabaja en el maravilloso mundo de las cerezas este verano! ¡Orchard View esta contratando para la cosecha! ¡Orchard View esta contratando para la cosecha! Choose the Go rg eS Bishop septic services help to keep our local rivers, streams & groundwater clean. Reliability comes in all sizes. Rugged versatility is what makes Kubota tractors the perfect choice for getting every job done right. And now the payment plan is as efficient as the machines. Get $0 down, 0% A.P.R. financing for 60 months. Visit us today. 440 Riverside Drive Hood River, OR 97031 541-386-3603 KubotaUSA.com © Kubota Tractor Corporation 2019. $0 Down, 0% A.P.R. financing for up to 60 months on purchases of select new Kubota BX80 equipment from participating dealers’ in-stock inventory is available to qualified purchasers through Kubota Credit Corporation, U.S.A.; subject to credit approval. Some exceptions apply. Example: 60 monthly payments of $16.67 per $1,000 financed. Offer expires 6/30/19. See us or go to KubotaUSA.com for more information. Do you have what it takes to be a Cherry Idol?? Your legal team in the Gorge. 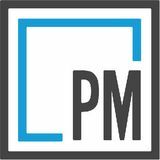 LET US GIVE YOU MARKETING STRATEGIES THAT WORK!